Using the Omnireg pressure regulator with compatible Irritrol valves allows the user to precisely set and maintain the exact downstream pressure required for any application. 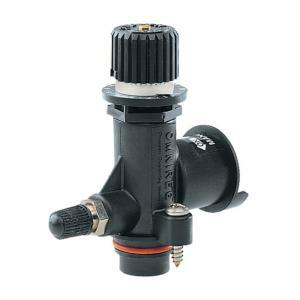 Adjustable from 5 - 100 PSI by simply turning the easy to use dial to the desired setting. One gallon per minute (1 GPM) is the minimum flow required to operate this regulator. The Omnireg is compatible with all heavy-duty commercial 100 Series (Century PLUS), 700 Series (UltraFlow®), 200B and 311A Series valves by Irritrol.